We warmly invite you to attend talks whether you are a member or not. Doors open at 2pm. The meeting begins at 2.30pm. Light refreshments (donation expected) available after the talks. If you're coming by bus, ask for the St Peter's School (Galashiels) bus stop; the Church Hall is less than 2 minutes walk. The Church Hall is about 12 minutes walk from our Archive and about 16 minutes walk from the Bus Station or the Railway Station. The talk will focus on the achievements and discoveries of the Stobs Camp project. Recent acquistions and their relevance to genealogy in the Borders. 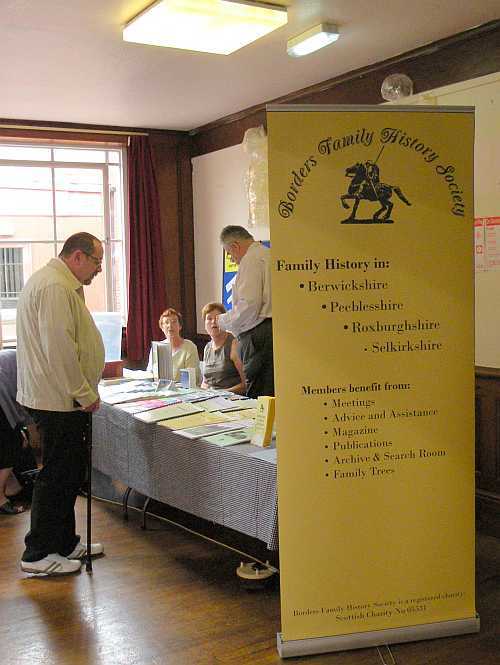 There's a long list of events by members of the Scottish Association of Family History Societies.